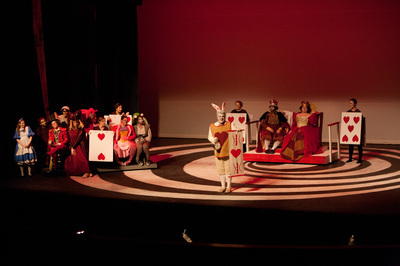 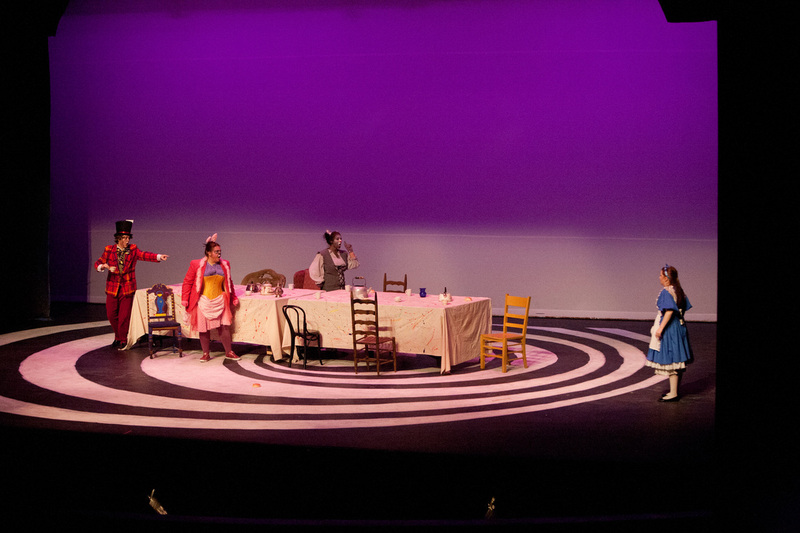 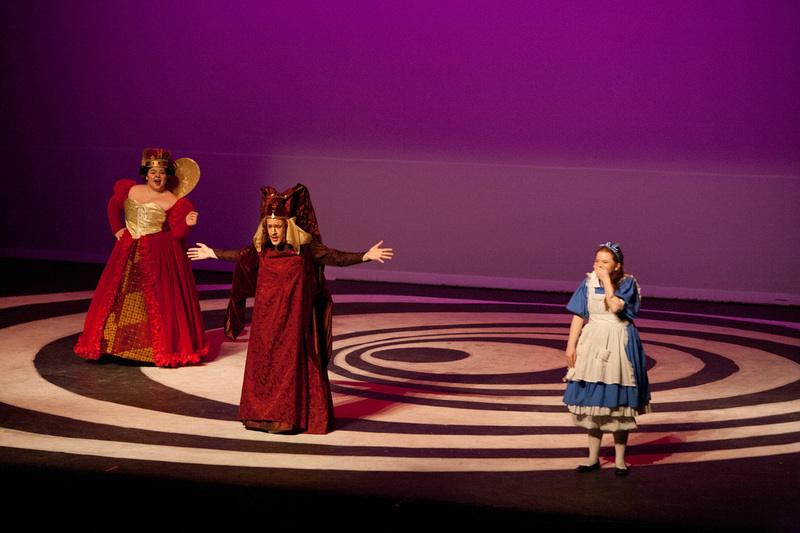 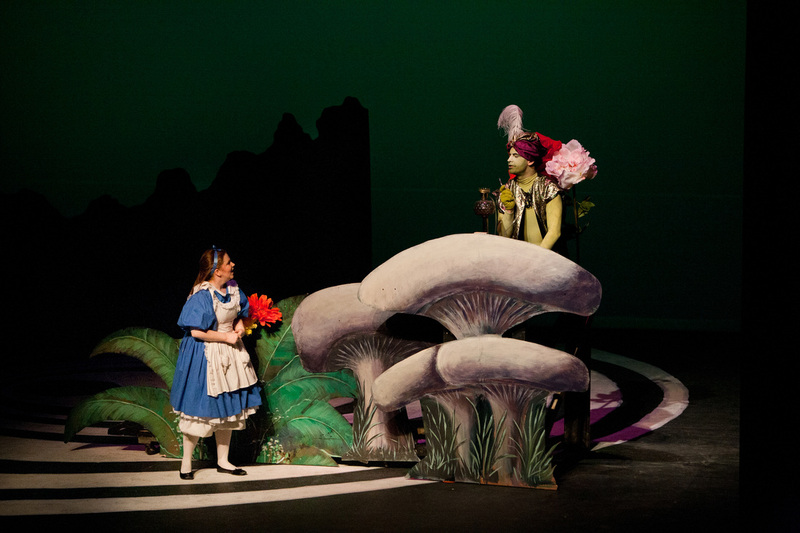 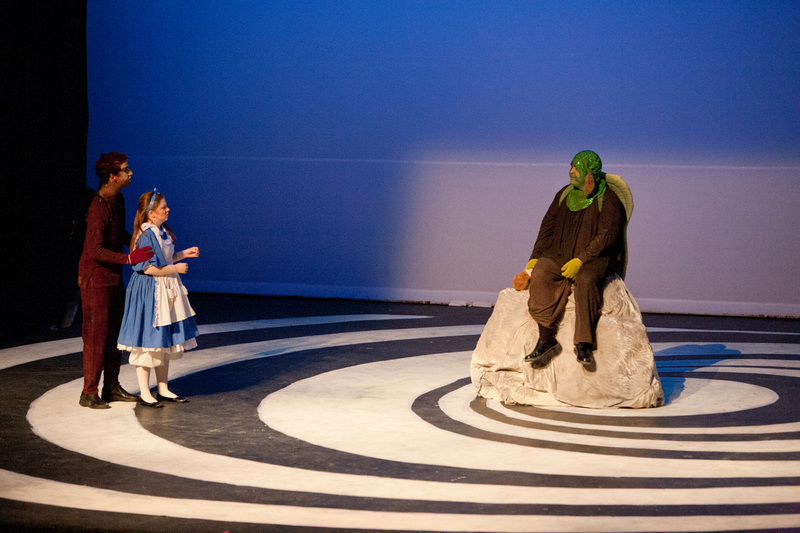 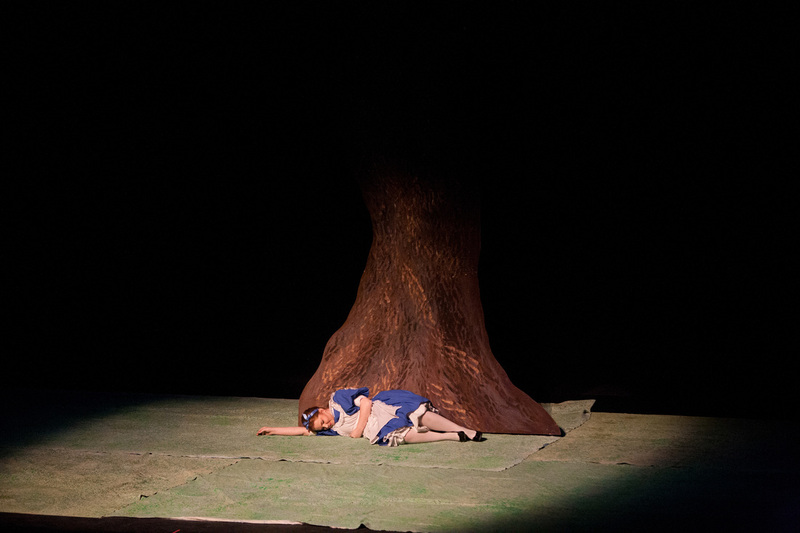 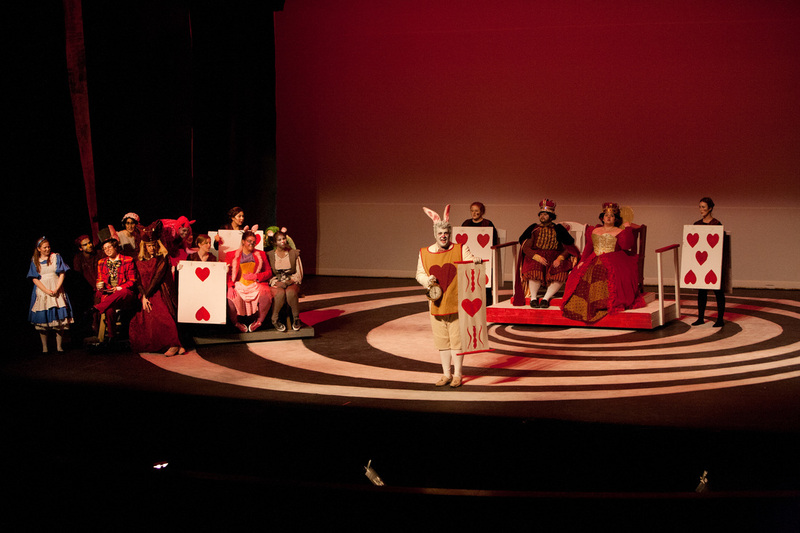 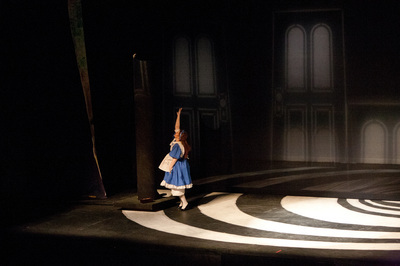 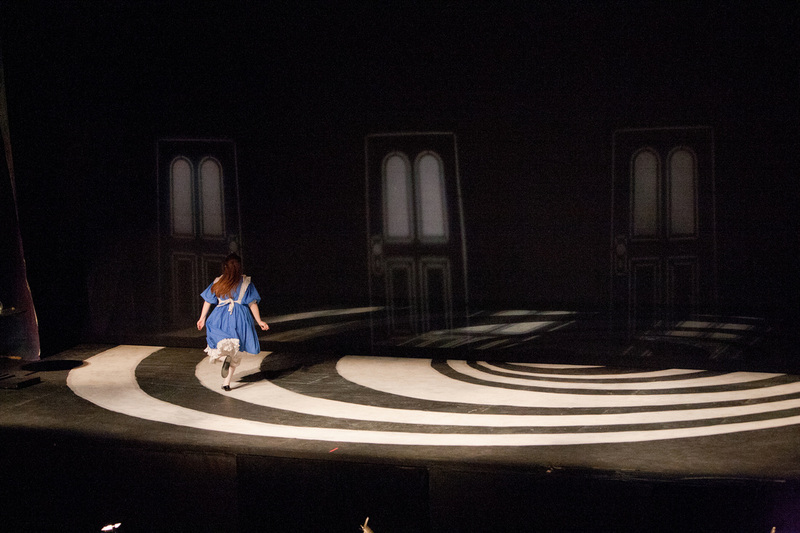 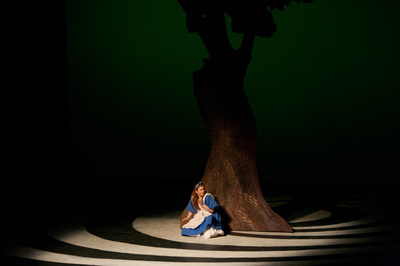 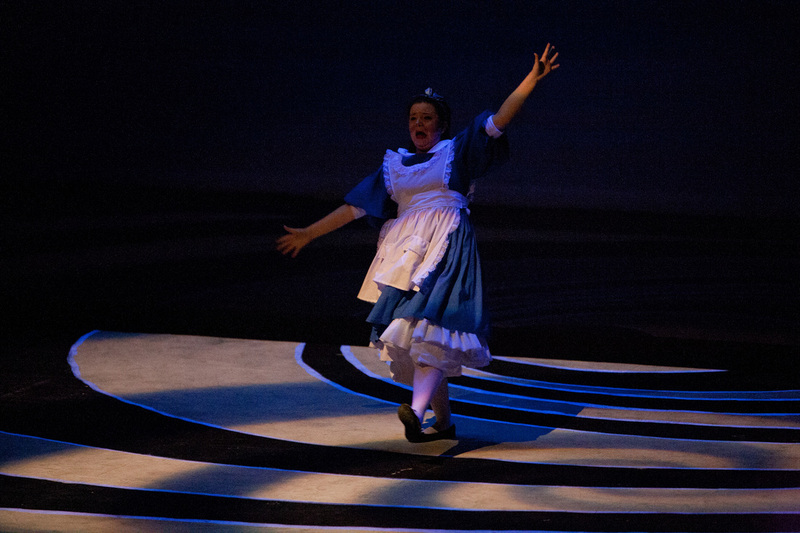 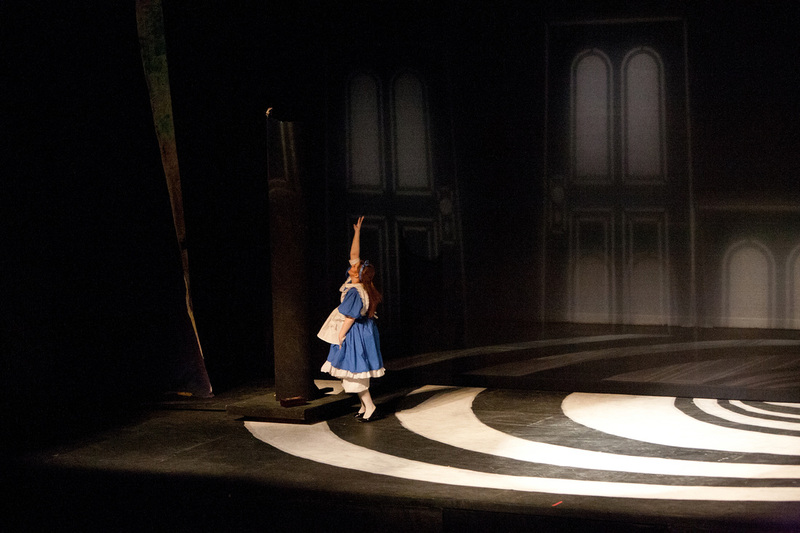 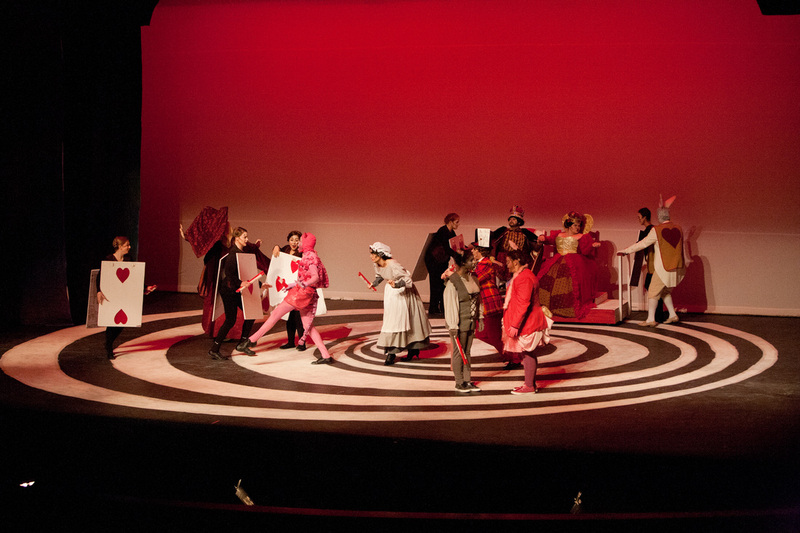 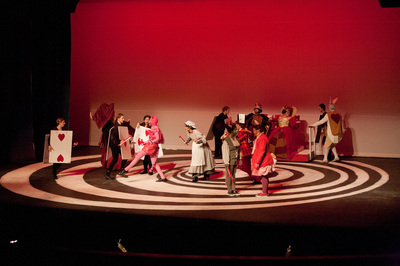 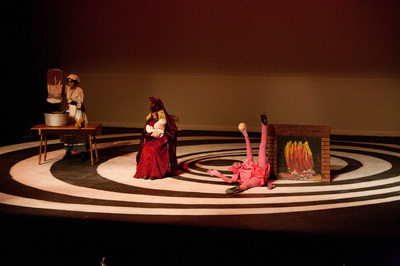 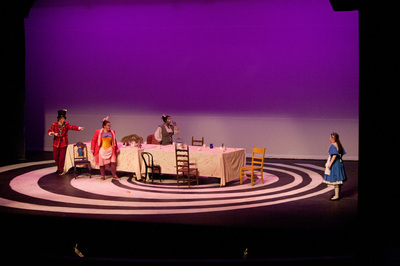 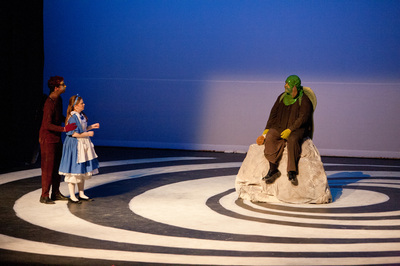 Most of the set pieces were pulled from stock, heavily utilizing units that were created for a production of Alice done by the theatre department a few years earlier. 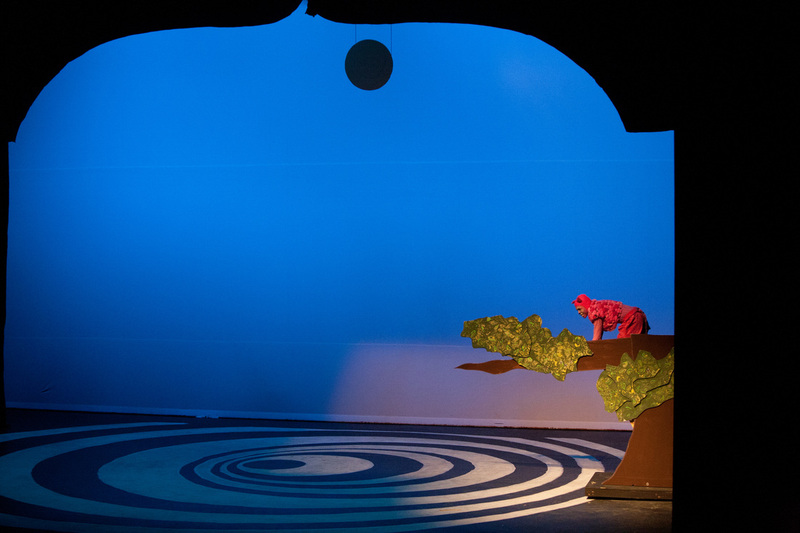 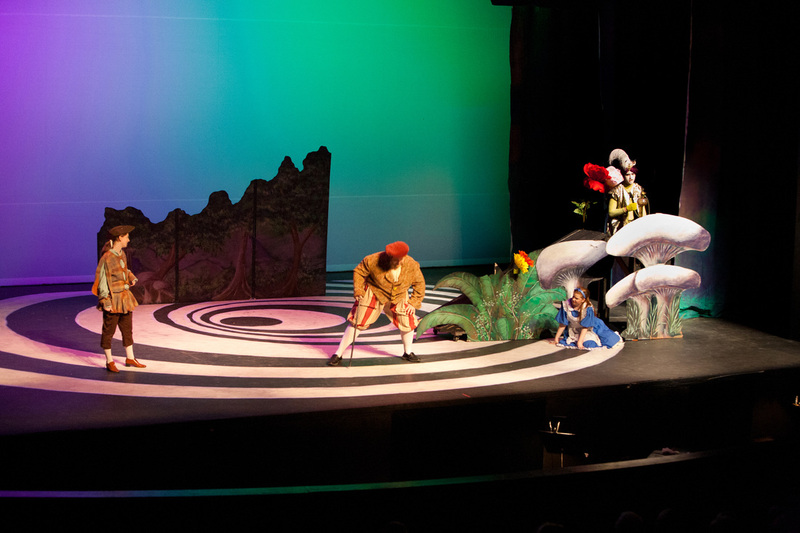 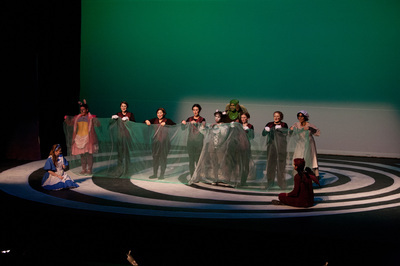 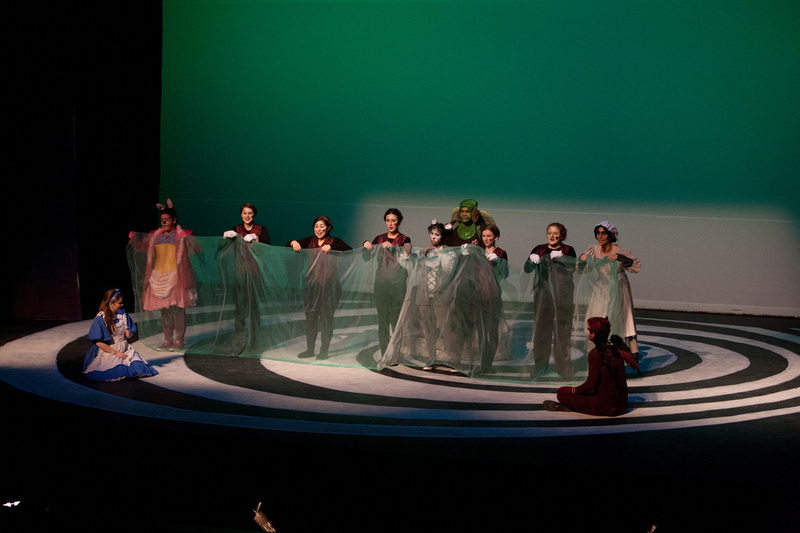 UV reactive paint and UV lights were utilized to create more magical and fun element, as this opera was created for children. 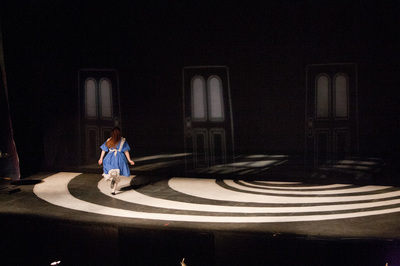 Additionally, the scenic pieces had to be small and maneuverable enough for the singers to be able to get on and off stage quickly as there were no stage crew other than on the fly rail.